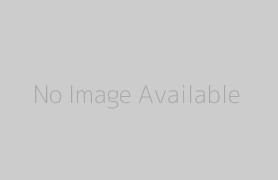 The global in-vitro diagnostics instruments market was valued at US$ 7,316.9 Mn in 2016 and is projected to reach US$ 13,881.5 Mn in 2026 at a CAGR of 6.6% from 2017 to 2026. 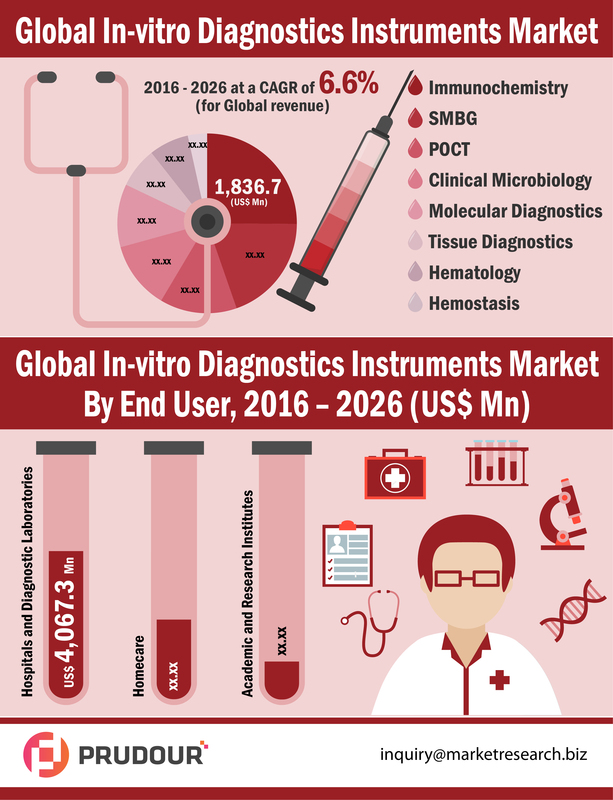 The immunochemistry segment in the global In-vitro diagnostics instruments market is estimated to account for major revenue share of 25.3% in 2017, owing to factors such as increasing cases of hypo, hyperthyroidism, cardiovascular diseases and oncology cases, and increasing expenditure on research & development to develop and introduce more advanced in-vitro diagnostics instruments. High demand for automation and integration of multiple processes driving new product development and increasing demand for personalized medicine are key factors driving the growth of the global in-vitro diagnostics instruments market during the forecast period. Rising prevalence of chronic diseases and infections such as all types of cancer, tuberculosis, malaria, diabetes, and cardiovascular diseases is another major factor fueling the growth of the global in-vitro diagnostics instruments market. Companies profiled in the report are Hoffmann-La Roche Ltd., Abbott Laboratories, Siemens AG, Danaher, Thermo Fisher Scientific Inc., Sysmex Corporation, Alere Inc., BioMérieux SA, Becton and Dickinson and Co.